I have a custom config for gnu screen, my .screenrc. 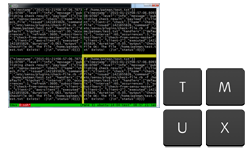 Knowing how much a few tweaks helps gnu screen work so much better I decided to figure out how to configure tmux's .tmux.conf file. 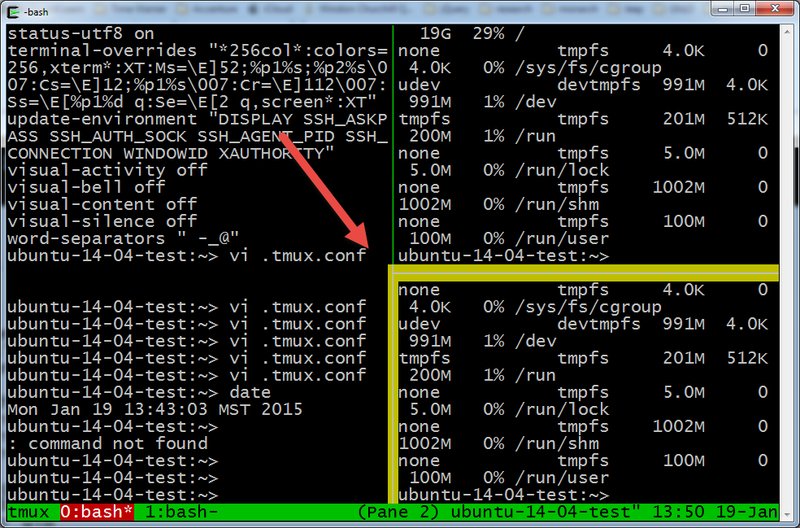 If you don't have have tmux installed I wrote up a guide at http://www.whiteboardcoder.com/2014/12/installing-tmux.html that shows how to install it on Ubuntu (10.04, 12.04, and 14.04), OSX via brew, and even cygwin. 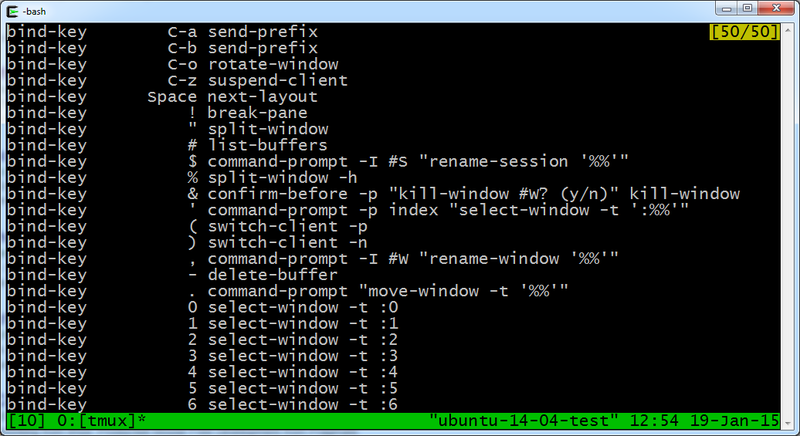 Create the .tmux.conf file and start tweaking. First things first, Ctrl+b is a bit of a pain, it’s a long way to reach for on a keyboard, and I used to using Ctrl+a from gnu screen. I am going to change it to Ctrl+a to save my fingers and to match my gnu screen memory muscles. The next time you could user Ctrl+a then ":" or Ctrl+b then ":" since I did not unbind the other prefix. To list all the current bindings press Ctrl+a then ? You can see the C-a key that was bound at the top. This will list all the current global options. 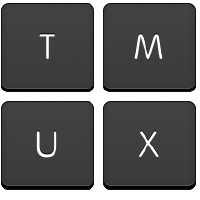 In the book tmux: Productive Mouse-Free Development by Brian P. Hogan  (I think is a good book to buy, it gets you from a beginner to an advanced tmux user) it suggest a few bindings I thought were good to add so I did. I am going to explain what is going on section by section here. This changes the text displayed on the bottom. 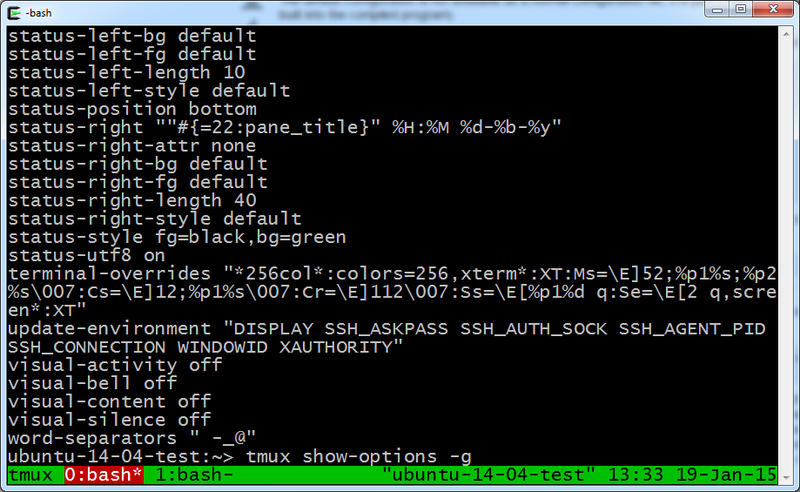 Now it has "tmux" on the far left. And (Pane X) on the right hand side (far left of the right hand side). The Pane X displays which pane # you are on. The selected Window now has a red background and white lettering. This helps to easily identify which window you are on. This is neat! It will highlight the selected pane. The lower left pane is selected. Turn the mouse on! Now you can use the mouse to select a window pain. You can even click on the window name in the lower right to select another window.